I’ve been off the self-tan bandwagon for a while with the whole ‘being pregnant’ thing. But ever since having Eleanor I have well and truly got my pasty self back on that bandwagon and love having a bit of a glow. However, with a baby choosing a product and your timing to tan is pretty key. You need to factor in your window for application and dry time without needing to give the baby cuddles or a feed in that or else you perhaps risk a baby with a bit of a self tan on one side of their face… and I’m not sure what the health visitor would make of that. But I’m pretty sure it wouldn’t be recommended. 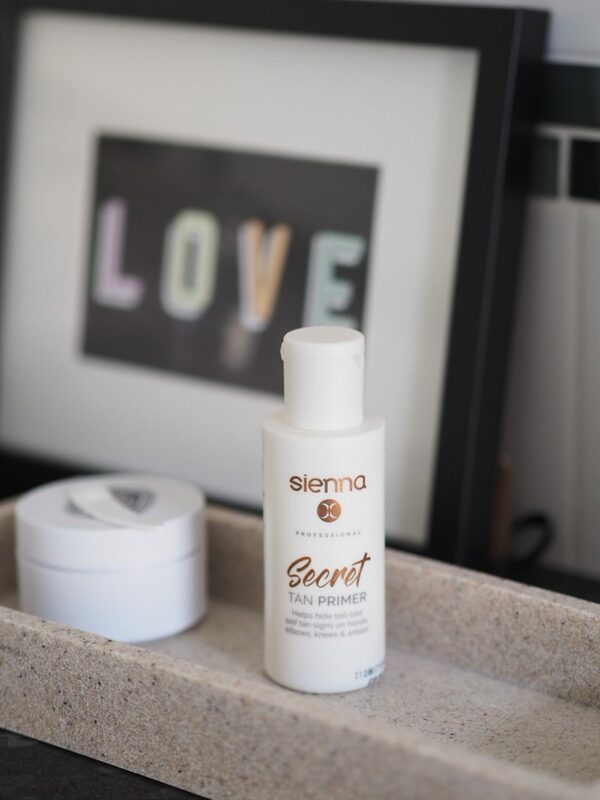 So with that in mind I’ve been checking out a few of the newest products in the ever-changing tanning market and have four the latest fake tan launches that I’m seriously impressed with to show you. So this is a clear water (slightly coloured in the bottle but comes out as a foam that has no guide tint to it) that means application without the guide tint and therefor ZERO TRANSFER. So no dark tan marks on clothes or tell-tale muddy looking patches on the bed. Massive win IMO as I HATE leaving the brown tan marks on bedsheets as either means added laundry OR feeling like you’re sleeping in dirty sheets. Neither being top of my list of fun things to do. 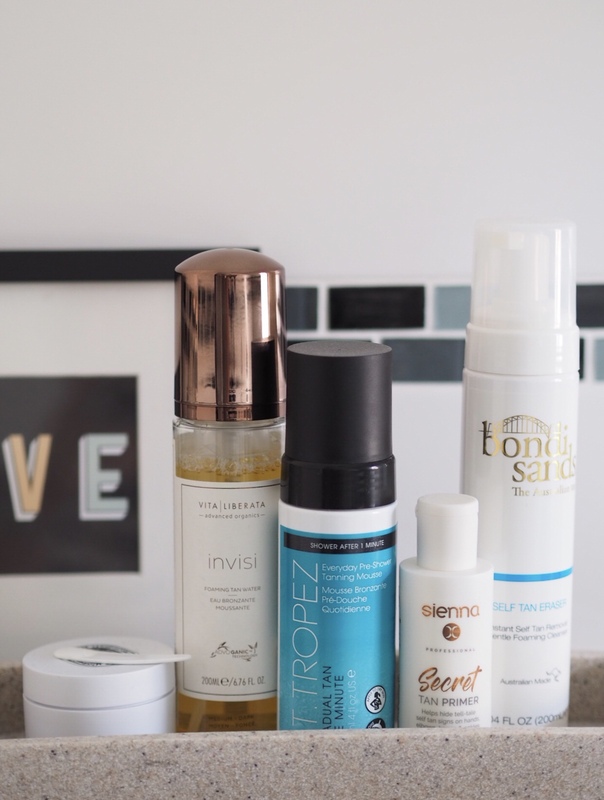 The colour I find with Vita Liberata tans is always on the natural side. If you apply at night the colour is well developed by morning as it says it takes 4 hours you could technically do this in the day too. Only downside would be that you need to be a confident tanner as the guide colour can be helpful in making sure you know you’re covered all over. Anything that promised to be super-speedy is a win in my book. It’s hard to overestimate how little time you will find you have when you have a baby. Right now I’m typing away furiously as I’m already 22 minutes into nap time and there’s no telling how long it will last and I need to get roughly 5 days of work done in around the next 45 minutes. So time for tanning is limited at best. This one is a new twist on last years in-shower offering that launched but overall I think general consensus that it wasn’t quite the wonder we hoped… this one though is a pre-shower one. So you apply all over as you would a normal tan. I find this is a mousse but has a creamy texture and feels quite hydrating on the skin. Then you leave on for just ONE MINUTE (yes, really) then shower off and dry as usual. You can then re-apply daily if you want a deeper glow or leave on for longer if you can. 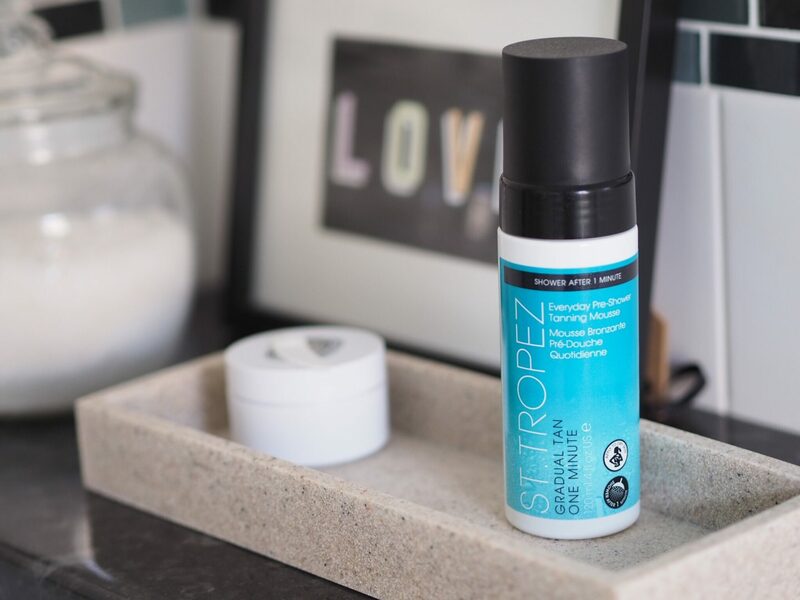 I’ve tested this out a couple of times and think it works a treat as a ‘top up’ when you have done a more full on tan and you want it to last. I really like it and can see myself loving this over Winter to keep myself from looking pasty pale. Absolutely ideal if you want something quick and natural looking. GONE ARE THE DAYS OF TANNING FAILS! 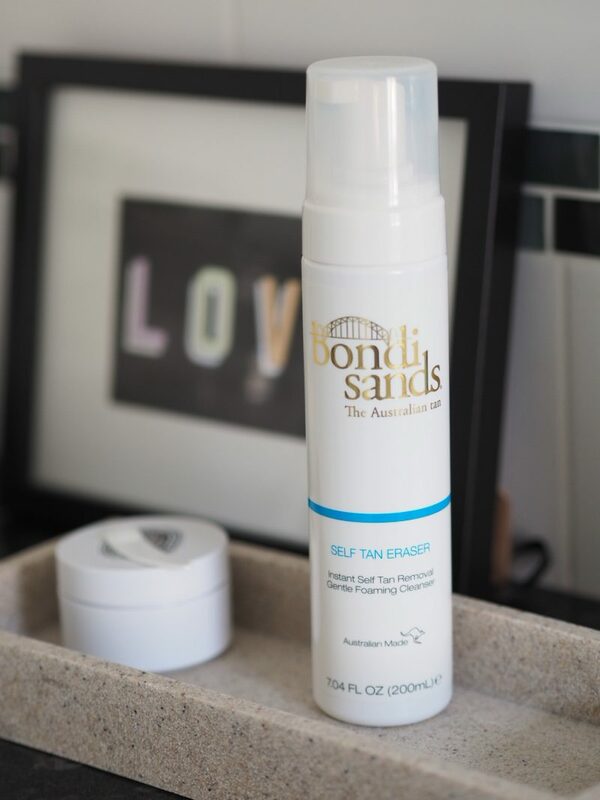 Well, sort of… this is a pretty cool product from Bondi Sands that promises to remove tan quickly and easily without resorting to harsh scrubs/nail varnish remover/lemon juice… yes I’ve tried all of those in the past. It’s a foam and honestly I have little or no idea *how* it works. Does it remove a fake tan fail in the blink of an eye? Well, not exactly. But it does help it fade quickly. I tested this out when on holiday recently and realised I made the rookie error of using a gradual tan aftersun product without washing my hands thoroughly afterwards. Leaving me with tell-tale dark patches in the nooks between my fingers and under my wedding ring. So I used this and in around two days it had faded to hardly noticable. Not bad considering it was all without any scrubbing. Just apply the mousse product, rub in thoroughly and rinse off. Very handy product to have on hand for when needed. Another of those ‘never knew you needed it until you tried it’ type of things. But once you have you will appreciate the difference it really makes. 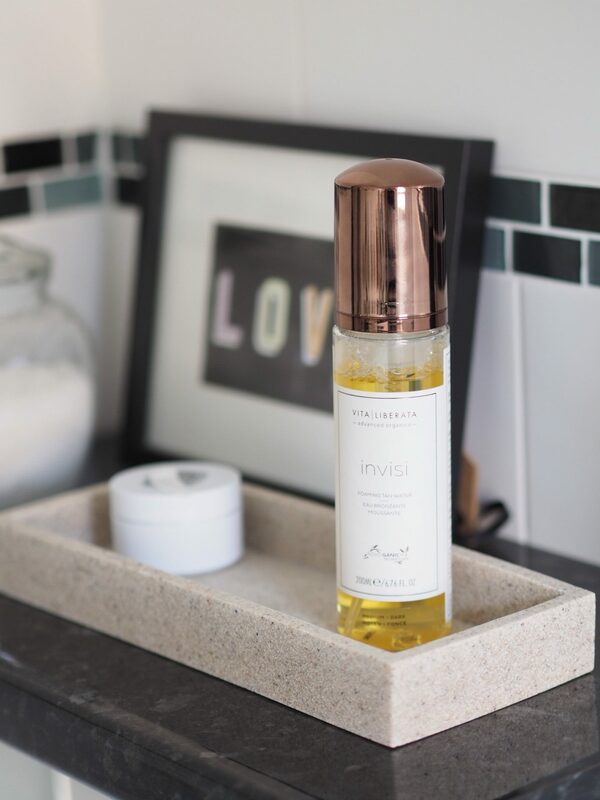 A very lightweight product that is perfect for protecting those dry areas that are prone to absorbing the product a little too much and creating dark patches. It’s very liquid and almost just vanishes as soon as you apply so doesn’t completely ‘block’ the skin but just moisturises it enough to stop it over absorbing. I’d love to try the shower on tan – I’ve always wanted a bit of colour in my pasty white legs so this might make me finally take the plunge. This VL tan sounds amazing! I’m a huge fan of the brand, must try!